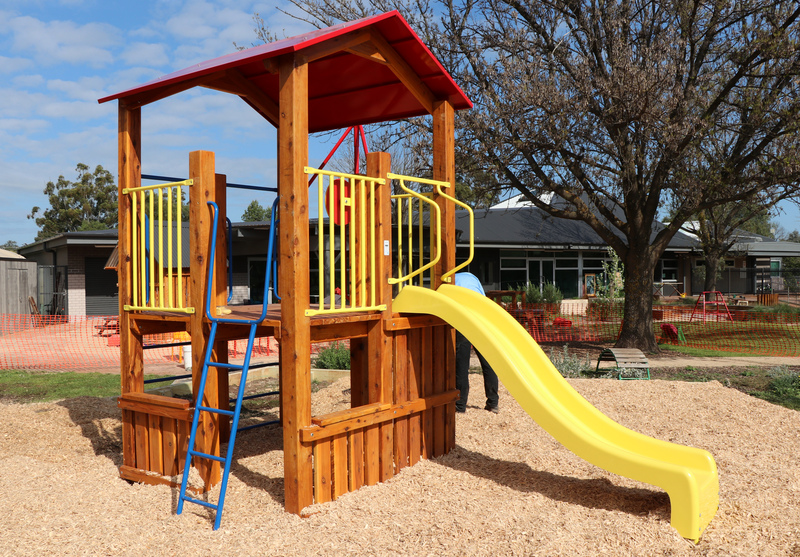 symmetry+ junior is an outstanding range of equipment, long proven in thousands of installations, and remains popular in early learning centres. The basic structure is timber and all components used for climbing or hand contact are steel, durable plastic or rope. The timber used is White Cypress, sourced solely from sustainable yield harvesting areas, and because of its natural durability, it is not treated with harmful chemicals. Natural White Cypress weathers to a rustic silver-grey colour, or alternatively, surface coatings are available to enhance and maintain the beauty of fresh Cypress. As timber is so versatile, flexibility of design is a special feature of symmetry+ junior equipment. It often incorporates larger platform areas, and is excellent for improved traffic flow, or where accommodation for large numbers of children is required.